What can I say, I'm a sucker for a sale. Pears were on sale $.99 for three pounds, so of course, I bought some to make treats. 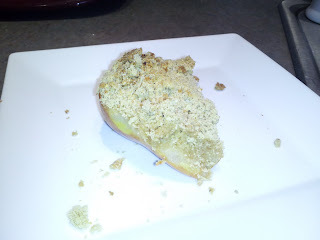 This tasty crumble is pretty healthy and was so good after my long run yesterday. I don't keep ice cream in the house because I tend to tear through a gallon in three days, but I imagine this would be delicious a la mode. Otherwise, it's a great breakfast or dessert. 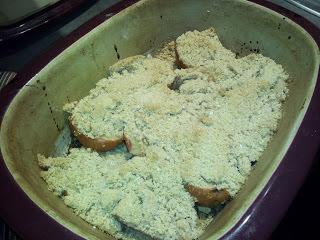 While I baked this dish in the oven, I imagine it would be easy enough to make in the crock pot. 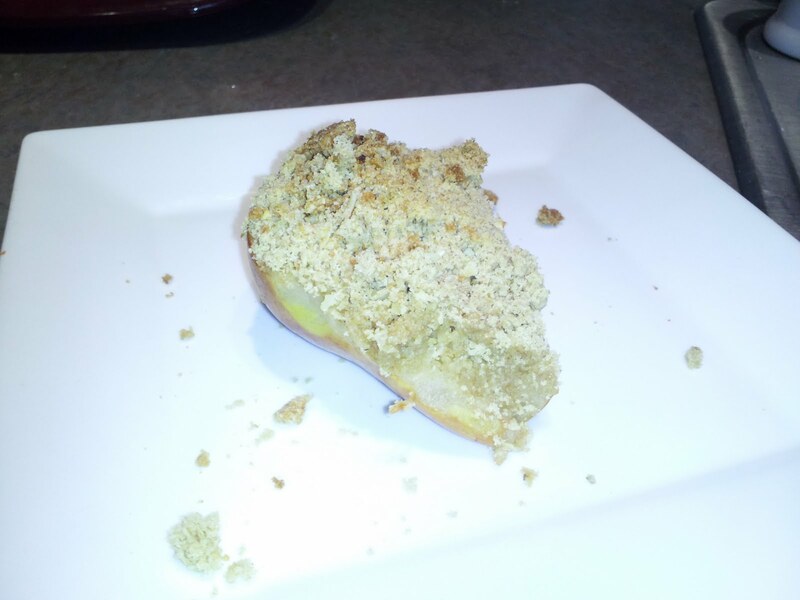 Place the pears in a baking dish cut side up. I used a stone casserole dish, but a glass or medal dish would work, too. Sprinkle the citrus juice over the top to prevent browning. Mix the remaining dry ingredients, the cut the margarine into the dry ingredients using your fingers until you get a crumble with the consistency of wet sand. Spoon over the pears and baked for 45 minutes in a 375-degree oven until the topping is golden brown.